Halloween – the time of celebration and superstition. Let us forget about the history of Halloween because it’s now the whole “Happy Holiday” thing. The day to get back and jump around like kids and have some spooky fun. Decorating our home and dressing up for Halloween can be fun but scary for others. Are you ready to create a scary world at home? Join us to turn your boring normal décor into something much more interesting and spooky with these Halloween decors. Wreath for this season must be abnormal and creepy to make everyone feel nervous. 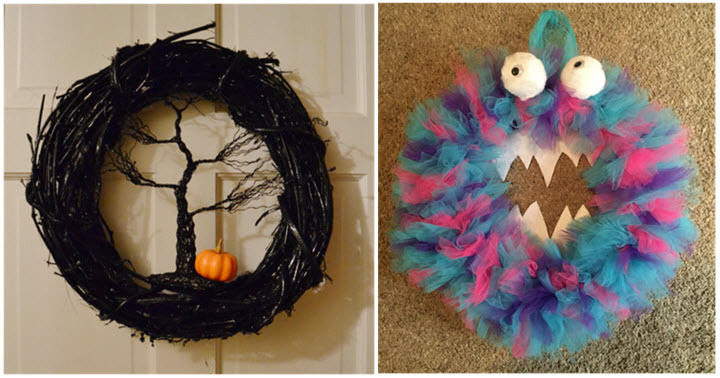 The Chudleigh lane spooky wreath, colorful monster wreath will make your door décor the talk of the town this Halloween. Colorful soft wreath is monstrous but non-scary specially designed for kids. Best indoor and outdoor scary witch wall Halloween vinyl stickers will spook up your home for the season. The cute ghost silhouette wall clock will help you in tracking your scary time with fun for Halloween. These unique wall wonders will make your décor ready for the spooky fest. Not only wall but the furniture’s too on the list to be witched. The witches arm chair is ready to spread funny evil magical powers to your living room this Halloween. The coffin shelf is a gothic furniture that gives terrifying look when dumped with unique scary stuff. Create unimaginable strange looks to your décor with these funky evil furniture models. A haunted house!! May be the Adams family!! 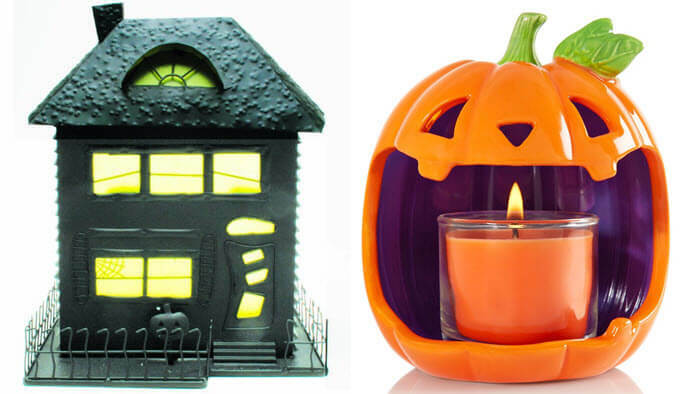 The metal spooky house tea light candle holder is a great rustic style décor for Halloween. The bright deep orange pumpkin spreads the apt scent for the season looking scarily cute making a cool table centerpiece for Halloween. Get ready for the crazy feast as Halloween is right around the corner. 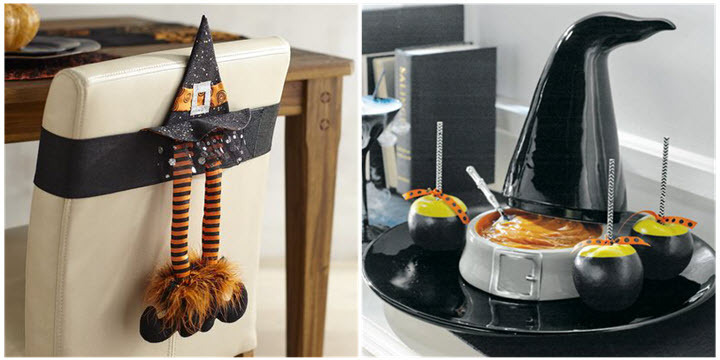 The witch hat serving platter is the best cool stuff to beautify the feast for the season. 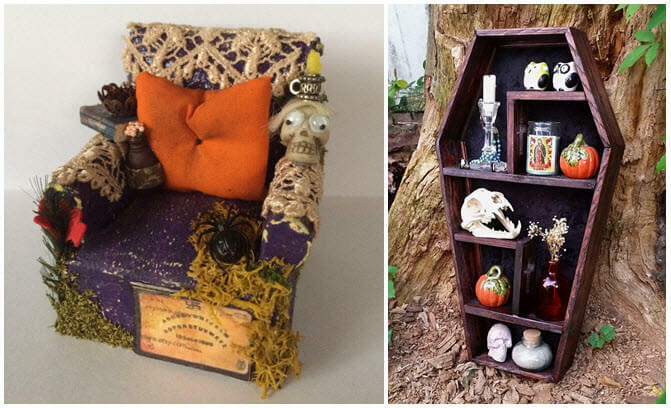 The witchy chair décor will spread the horror mood of the season throughout the feast. These amazing table decors would be the best part of your festive home décor. Funny but creepy bedding for the season is ready to decorate your bedroom. 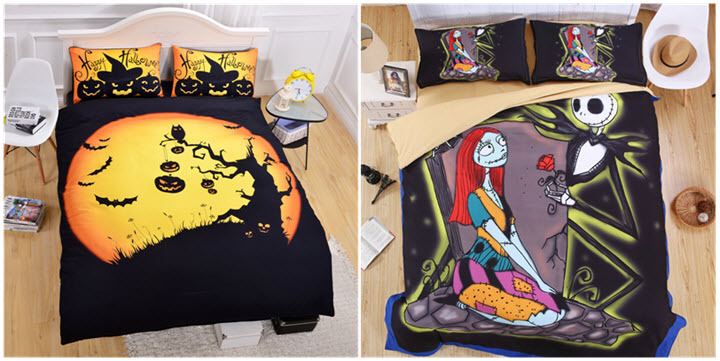 The 3D print Halloween Christmas cotton bedding is sure to scare you in mid night. Create a devilishly cool look indoors and get ready to have fun for Halloween. Unique witchy decors will create a spooky thrill for the season. 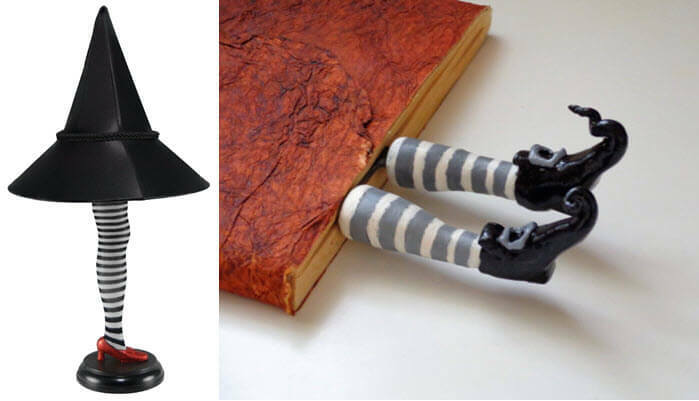 The witch book mark, witch leg lamp is totally wicked to match your Halloween theme. Can also be a strange scary gift for friends this season. Just makes everyone nervous at the very first look of this décor pieces. Decorate, dress up and kick off the fall season in a cheerful way this Halloween. Join with your kids to dress them up like vampires, mummies, skeletons, zombies for Halloween get togethers. Invite your little one’s friends, have fun and stay excited during Halloween. Unique décor pics regarding the article is always welcome from your side.